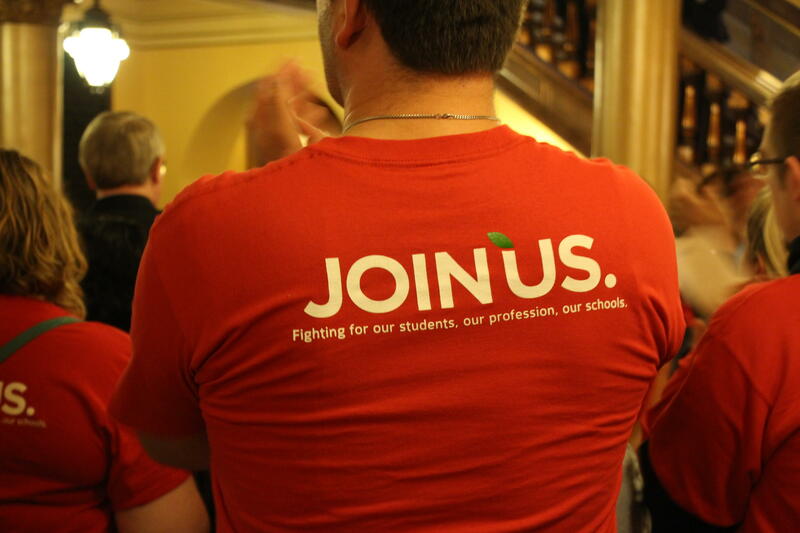 Members of the state’s largest teachers union came to the Statehouse Saturday evening to lobby for more school spending. Lawmakers may not know for months whether a deal to pump half a billion dollars into schools goes far enough to end seven years of court battles over whether the state shortchanges Kansas children. If it falls short, the Kansas Supreme Court could call them back to Topeka this summer with yet another ultimatum to send even more money to local districts. The deal to increase public education funding squeaked through with the bare minimum of votes amid desperate Statehouse gamesmanship over the weekend. It will boost state aid to schools over the next five years, eventually adding more than half a billion dollars in annual funding. In coming weeks, state lawyers will prepare briefs to the Kansas Supreme Court arguing this money is enough. Lawmakers, meanwhile, will wrangle over collecting online sales taxes to help cover the cost. The night included a high-stakes game of legislative chicken between the House and conservatives in the Senate — all amid a backdrop of hundreds of teachers clad in red shirts who packed the galleries and hallways in a show of support for education funding. 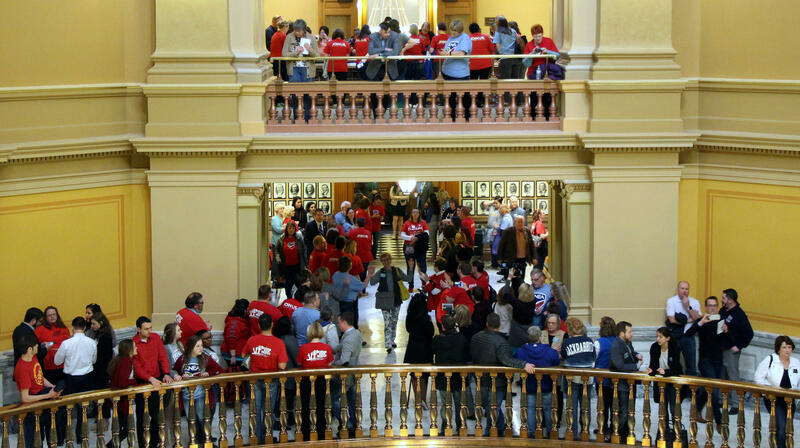 Teachers made their presence felt through 11th hour negotiations in the Kansas Capitol last weekend. Senate leaders wanted to add half as much money to schools as the House did. They fought the House’s plan to the bitter end, filibustering all the way through a midnight deadline that would kill the school finance bill and every single other piece of unfinished business from the 2018 legislative session. Is The Market Headed For a Mid-Year Correction?